Government has called for an inclusive approach to national dialogue. National Guidance and Religious Affairs Minister Godfridah Sumaili says the dialogue must not just be centered on few individuals. Reverend Sumaili was speaking in an interview with journalists in Lusaka today. Meanwhile Reverend Sumaili said delegates to the national dialogue must be focused. She said they must concentrate on electoral reforms ahead of the 2021 general elections. Reverend Sumaili further said contentious issues in the Republican constitution must also be part of the agenda of the national dialogue. She however said government is committed to National Dialogue as it is key to reducing tension. Yesterday, the National Dialogue and Reconciliation process was launched with a call for Zambians to embrace peace and unity, in order to foster national development. The launch of the dialogue, spearheaded by the Church, set a roadmap on how stakeholders will proceed with various activities that have been lined between 2019 and 2020. Speaking during the launch in Lusaka yesterday, Bishop Paul Mususu from the Evangelical Fellowship of Zambia, EFZ, said there was need for people in the country to work together towards achieving a unified and peaceful nation. Bishop Mususu observed that in the recent months, the country has seen an increase in divisions, which have resulted in anxiety among the general public. He explained that dialogue and reconciliation is a way of resolving differences, adding that it is the only civilized way of addressing challenges that may be faced in any given nation. He noted that the Church will also ensure that they take a leading role in the process for purposes of peace and harmony to prevail in the country. In his sermon, and reading from second Corinthians 5:16-18, Zambia Conference of Catholic Bishops President George Lungu stated that Zambia has been lauded as a beacon of peace within the region, demonstrating a strong commitment to democratic process for the past 54 years. Bishop Lungu, however, regretted that the country has experienced political, social and economic challenges, which are a concern to the country’s national development. He advised the people of Zambia to desist from tribal politics and political intolerance as these are factors that bring out disunity in any given nation. He pointed out that reconciliation was a duty given to the Church leaders by God in exercising their mandate in the prophetic mission of the Church. The lined up activities of the National Dialogue and Reconciliation process include the meeting of presidents of political parties, provincial conferences, first national conference, committees of experts, second national conference, third nation conference and the conclusion. Over 20 political party leaders, four traditional leaders including Chieftainess Nkomesha Mukamambo II, members of the diplomatic corp and other interest groups attended the launch. Ba Sumaili, it’s easier to join UPND than being among immoral PF. PF wanted excluded in dialogue. Now imwe Ba Sumaili ati no no everyone should be included. The church was open you didn’t want to enter. How I miss our leaders of yesteryear ..this would have been sorted by now ..not clowns like Lazy Lungu who is in Madagascar making assurances for SADC when he has bigger problems at home!! The bishops championing the dialogue process are not representing the majority christians but themselves and thier own agendas. The so called CMB should be preaching peace and reconciliation in their churches on regular basis. CMB has no consitutional authority to run this country as they are trying to do under the guise of national dialogue. The church if not controlled can actually drive this country into more devisions and hate . If the CMB wants to politic , then they better register as a political party officialy so that we treat them as such. REV. SUMAILI WHO IS THE MINISTER OF RELIGION AND NATIONAL GUIDANCE WAS SUPPOSED TO BE THE FIRST PERSON TO BE THEIR. WHAT DOES SHE GUIDE IF SHE MISSES SUCH AN EVENT? DOES SHE GUIDE THE NATION FOR SURE IN TRUTH AND CONCERNED WITH THE ISSUES OF THIS NATION? THE ANSWER IS NO AND SHE IS A WOMAN FOR SALE IF NOT SHE LIVES ON A TAX PAYER’ SALARY CONTROLLED BY SOME FORCES . BEING A MOTHER, WOMAN PASTOR, AND A LEADER, I EXPECT OF HER TO BE STRONG AND FEARLESS LIKE THE WOMEN OF THE BIBLE – DEBORAH, ESTHER, RUTH, DEMETRIUS, DORCAS, MARY MAGDALENE, MATHER AND MARY WHO STOOD FOR THE TRUTH EVEN WHEN TIME OF PERSECUTION WAS ON, THEY STOOD FOR THE TRUTH OTHER THAN SHUNNING AWAY. IN MY OPINION THIS LADY MUST RESIGN BECAUSE SHE IS A LET DOWN TO ALL ZAMBIANS. @ SEMEKI, she could not be there becase it wold displease her pay masters. This woman should be ashamed to be called Reverend. A total useless ministry it is about time we the Zambian tax payer should call in one voice to scrap this ministry as it even fails to stand up with the three church mother bodies. The mother of morals is completely lost. She does not know were she belongs. @Chichi. My thoughts exactly. Since when does she speak for the govt? I guess her job description is echoing what other have said. I Think NATIONAL DIALOGUE AND RECONCILIATION launch was NOT DONE in good faith. Hope the Hon Rev. Can extend the same message to PF that dialogue should be inclusive because Sunday Chanda, Nakachinda and other minions who do an honorable job on behalf of the president think otherwise. For them inclusion is not a word found in their dictionary but exclusion of those perceived to be making their stealing difficult. If there was no Akainde in the political process, all this nonsense would not have been there. According to a statement released by the Baroness Scotland and HU discussed the Commonwealth-facilitated political dialogue in Zambia as it moves to the next stage. The Secretary-General reassured HH of the Commonwealth’s continued commitment to the process and underscored that its success hinged upon the continued political will and commitment of all STAKEHOLDERS, especially the main political leaders. … owned and led by Zambians with the Commonwealth only playing the necessary facilitation role. The Secretary-General once again commended both President Edgar Lungu and HH for the trust and confidence in the Commonwealth, their unequivocal commitment to the dialogue process and the warm reception accorded to her Special Envoy, Professor Ibrahim Gambari, during his scoping visit to Zambia. She added that Professor Gambari is scheduled to return to Zambia to progress the process and outline next steps. HH reaffirmed his commitment to the political dialogue and thanked the Commonwealth Secretary-General for her assistance. @Albert, the DPP had decided to stay the treason case against HH. At the time the Commonwealth Secretary-General Patricia Scotland said the decision to release opposition leader, Hakainde Hichilema, will help to progress peaceful dialogue. The Secretary-General was responding to the news that Zambia’s Director of Public Prosecution (DPP) had decided to stay the treason case against the leader of the United Party for National Development through what’s called a nolle prosequi. 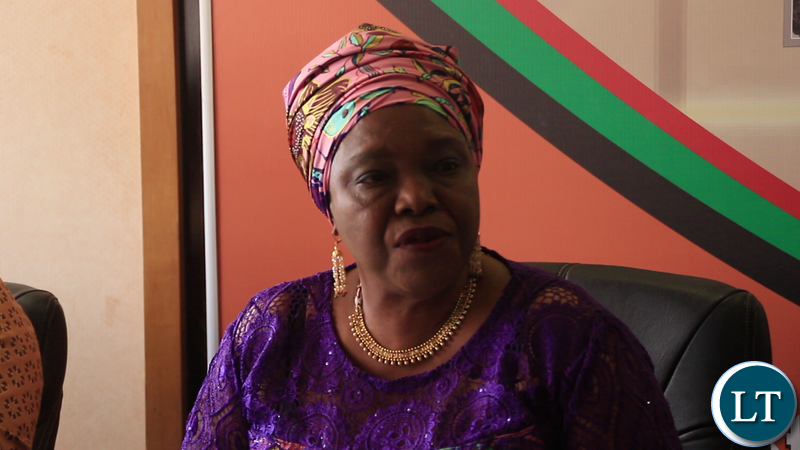 She added, “The DPP, as a custodian of the public interest and the rule of law, must have weighed what was in the interest of justice and the public interest at this delicate point in Zambia’s history and decided that, at this material time, it was not in the interest of the public to prosecute the leader of the opposition, especially following the commitment to peace and harmony generously given by both President Lungu and Mr Hichilema to me during my recent visit to Zambia, and their pledge to engage in a constructive, responsible and forward-looking dialogue. YESTERDAY’S MEETING WAS POORLY ORGANISED BECAUSE MOST IF NOT ALL OF THE PEOPLE WHO ATTENDED WERE MEMBERS OF ONE POLITICAL CAMP. THE DIPLOMATS WILL NOT BE COUNTED AS HERE. “He (Bishop George Lungu) explained that dialogue and reconciliation is a way of resolving differences, adding that it is the only civilized way of addressing challenges that may be faced in any given nation”. Really Bishop? How about drinking the same dose and reconcile with ZCID? The Chairmanship has already been given to you by the magnanimous ZCID but set the agenda together. And while at it, educate Trib.al Hacks on how to address the President, he is the most critical single participant in this process for he alone can implement the resolutions. Because he alone has the instruments of power. Otherwise no dialogue, we don’t want to waste time entertaining trib.als to photo shoots.